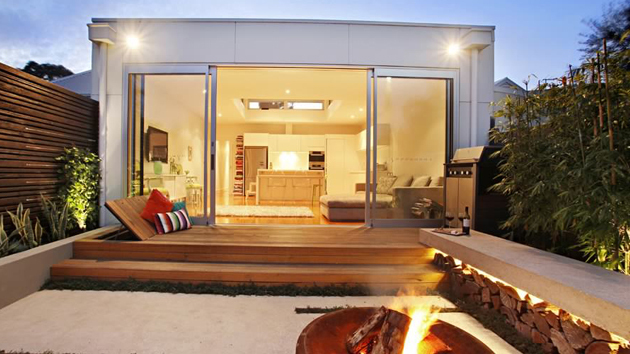 We all know how important lightings are for our houses, may it be for indoor or outdoor use. I just can’t imagine what it would take when lights were not invented. Although warm sunshine and moonlit rays are the most abundant natural source of light, electric lights are definitely one the most important necessities that a home can ever have. Can you imagine how creepy it can be living in a house that has no light at all? But of course, installing lights in houses does not only focus in indoor structure. One way to beautify the overall landscape of your house is to put some decorative lighting in your entrance hallway, gardens, patio, and even at the pool area. 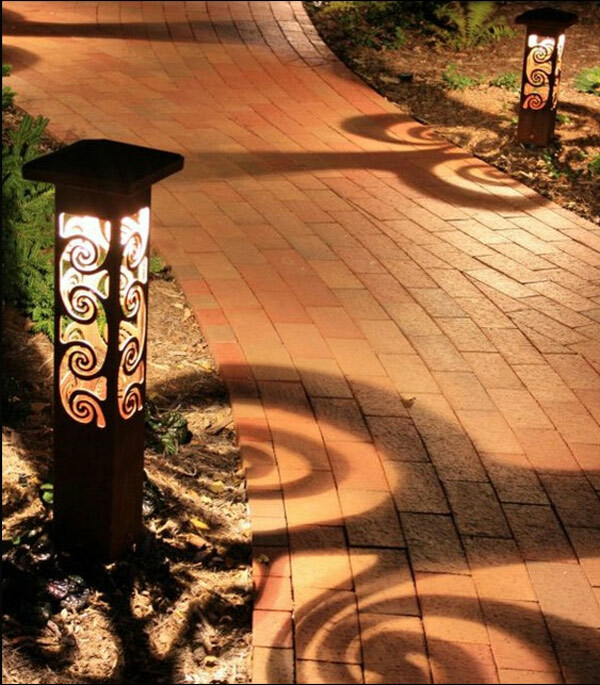 Entrance lights can provide general illumination along the walks and driveways, whereas, decorative lights in pools and gardens are very useful during parties to enhances the beauty of all the areas and add a melodramatic sense at the same time. 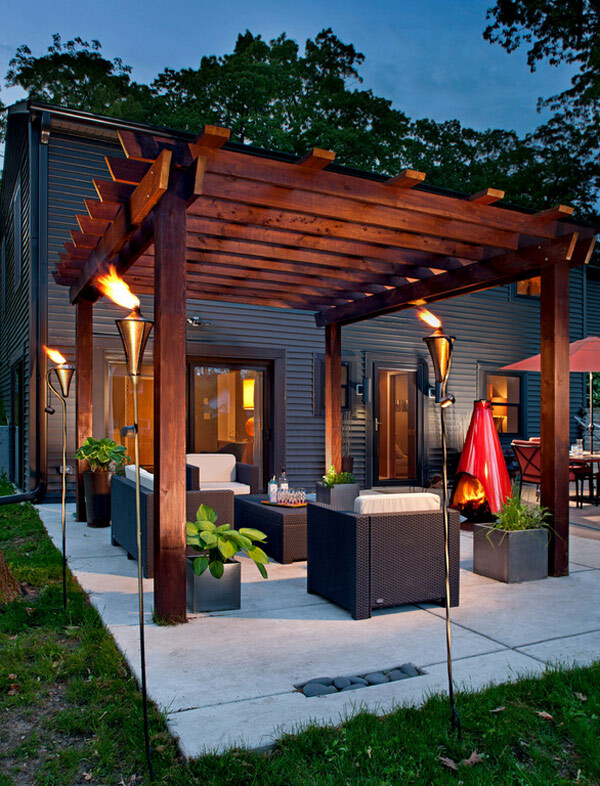 Light up your houses with these ideas of decorative lightings. 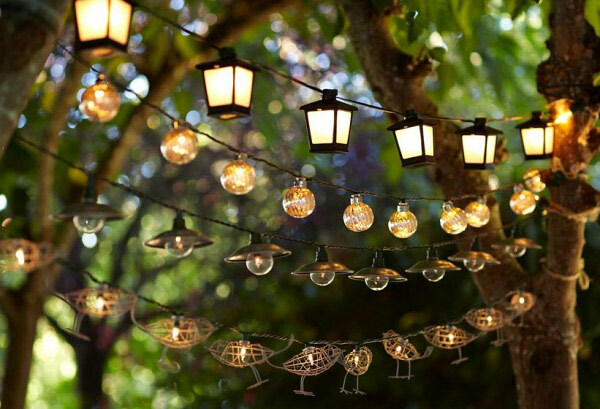 Lantern lights are just as useful as they are magical. They are easier to install and in the same way it improves the appearance of your outdoor spaces. 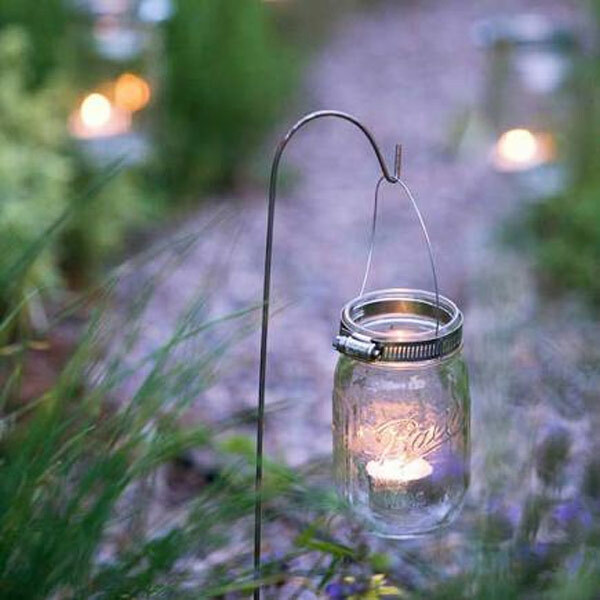 Tea lights inside a canning jar would turn the entrance of any houses into sparkling one. 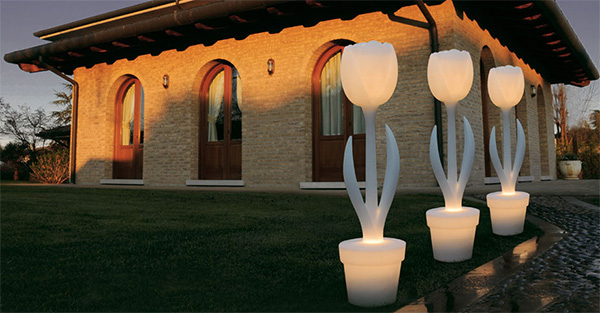 This tulip lamp is a erratic garden decoration that adds a dazzling and humorous touch to any outdoor space. If you wanted to create an eye-catching effect try to line up large sizes of these in a row, or place smaller ones along your walkways. 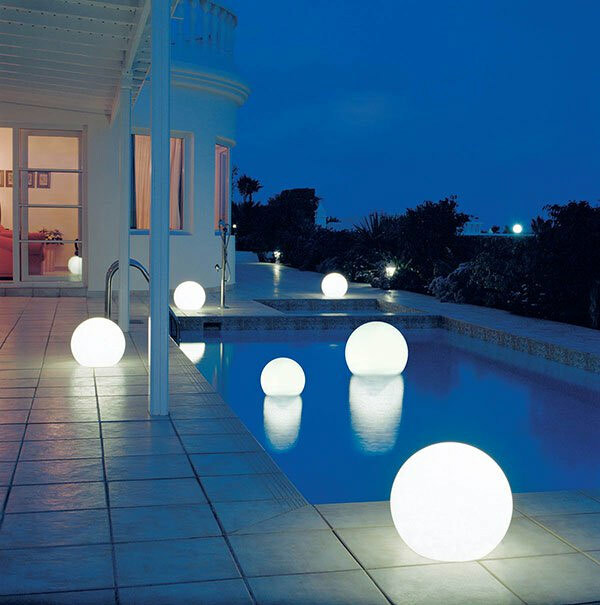 Enhance the style of your pools or any landscape in your areas with these decorative globe lights. Colors can be changed that bring an exciting experience. 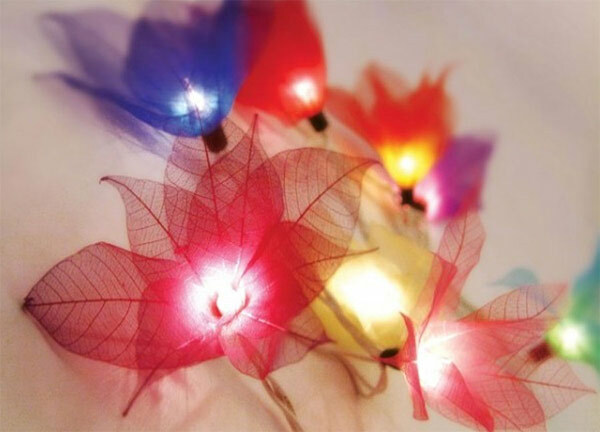 These strings lights can be an additional decorative accent in a wedding reception. 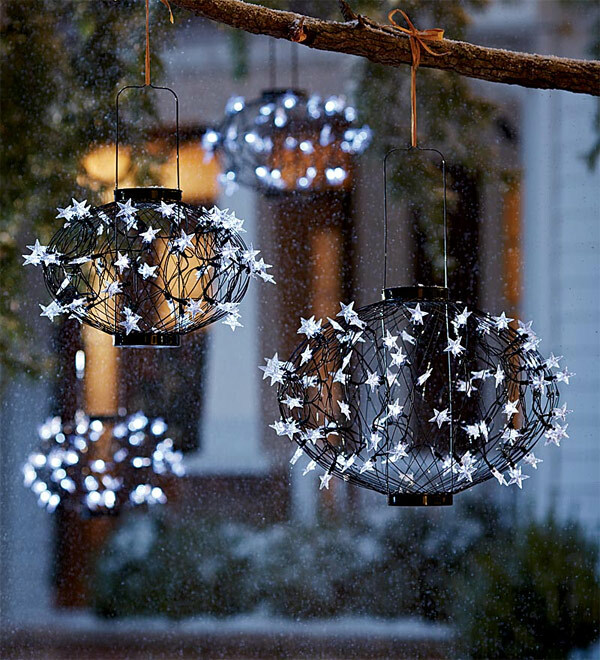 This decorative ball is a pretty outdoor lighting during Christmas. An additional decoration for trees outside. 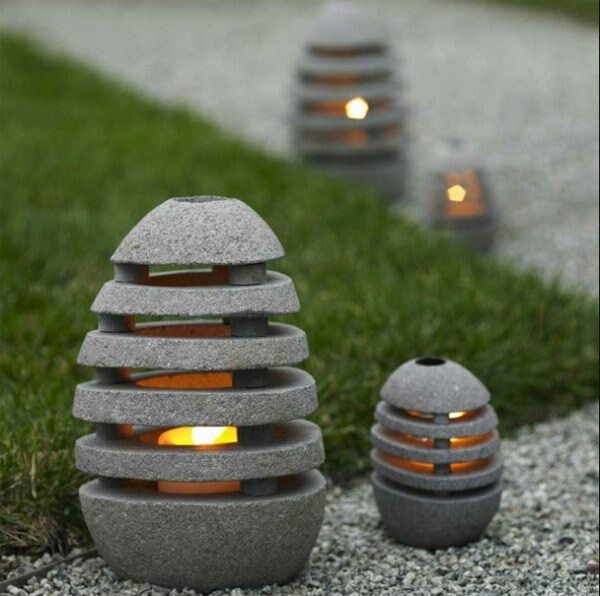 These beacon lights would lead your guests in your house to have more a graceful way. Glitter your gardens more with these roses that illuminate lights. 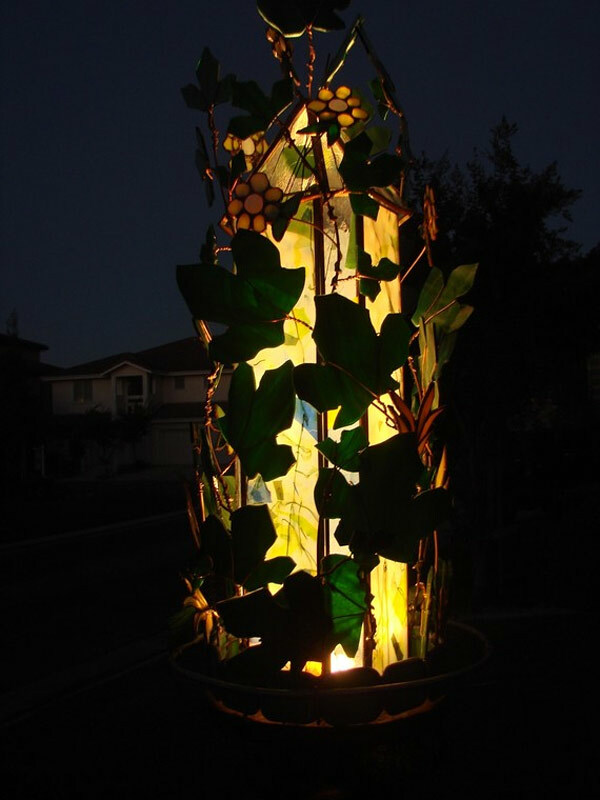 This is a unique additional lighting to a garden setting which is made of stained glass. 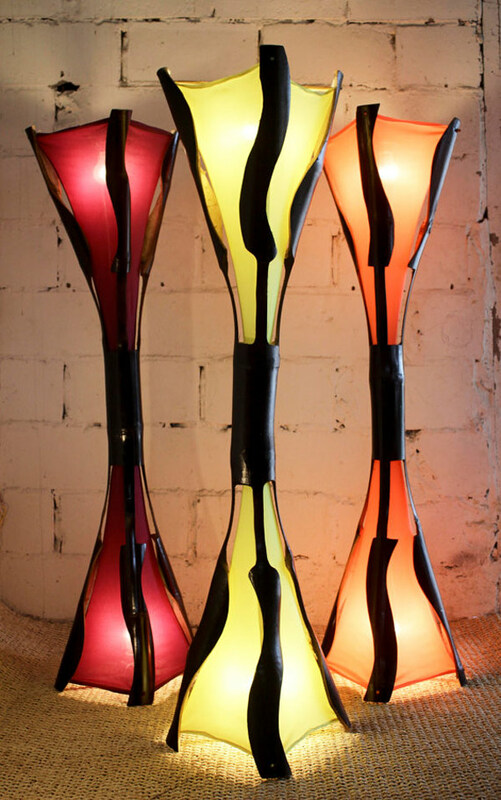 These handcrafted floor lamps will surely light your hallway entrance. 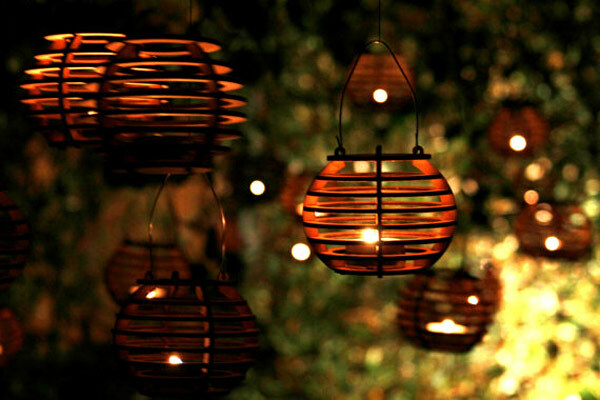 These mini lanterns are perfect details in an outdoor party. Lighten up your hallways and make your areas very inviting! 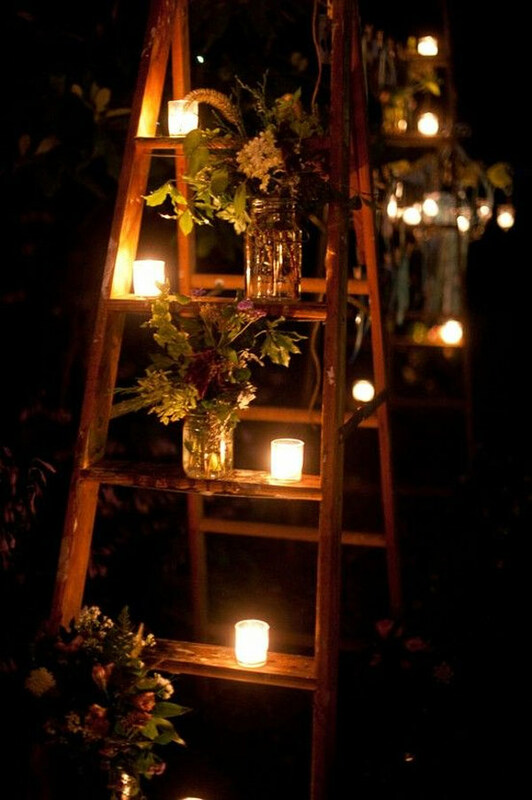 This is a perfect additional decor of lights that will make your wedding reception areas standout from others. 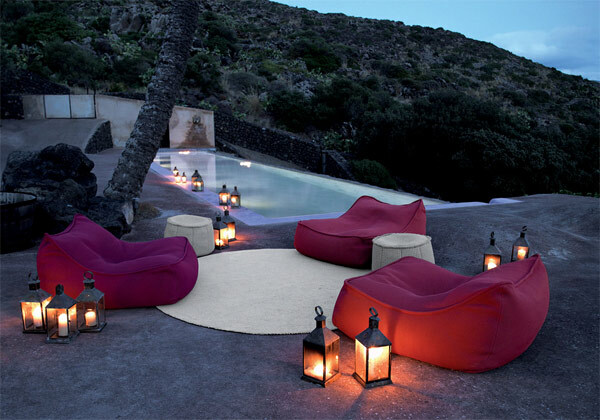 Try to light up patios with torches. It seems like that it brings a festive feeling. 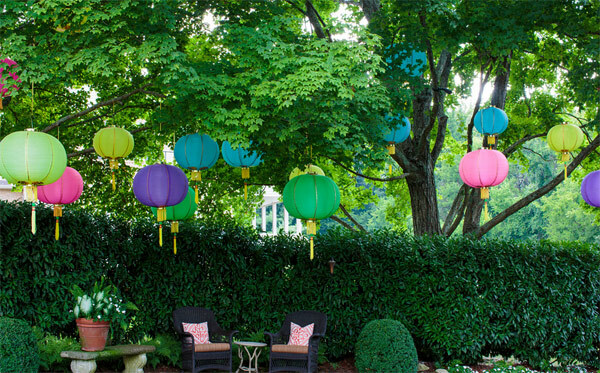 For least expensive decoration, paper lanterns like these are good for the eyes and give a cool and colorful feeling. 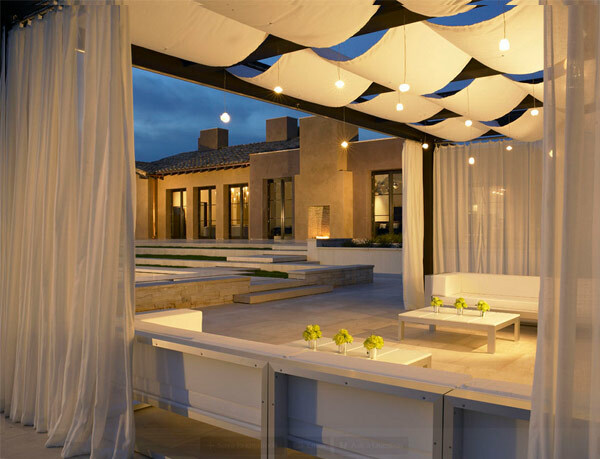 Pendant lights can be a sleek and modern decoration for your patios adding a soothing atmosphere during relaxation. 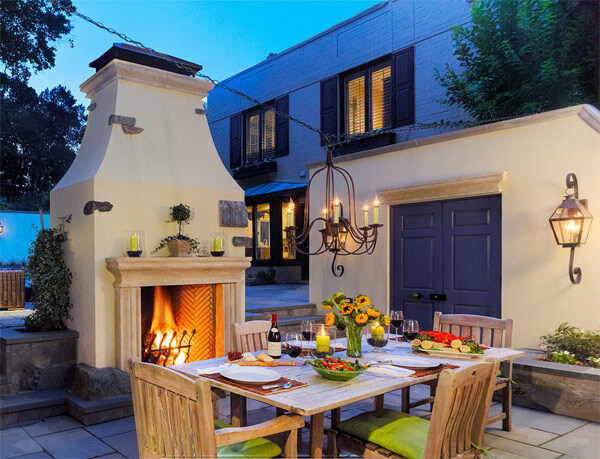 For your outdoor dining areas, accent it with an electric candle chandelier that will make your dinner grand and majestic. 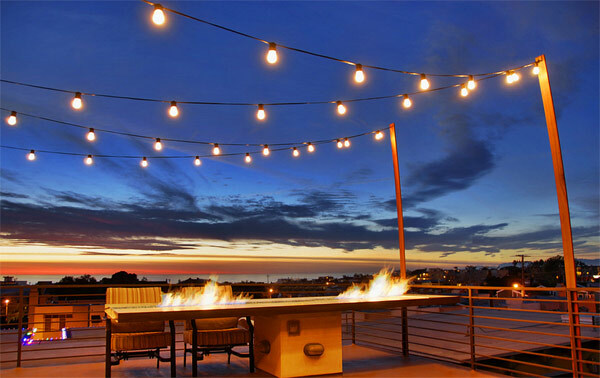 Roof decks can be glistening also same as your gardens or patios with just the classic LED bulbs that illume bright, sparkling lights. 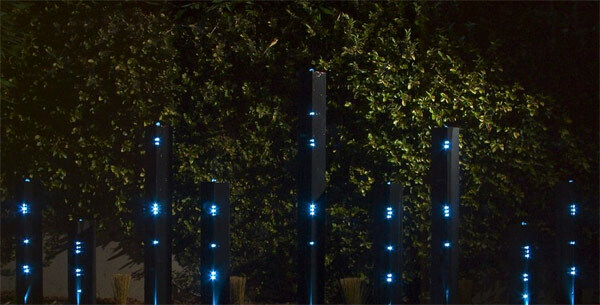 Install some steel posts with LED light built-in inside the columns to add a one-of-a-kind design into your gardens. 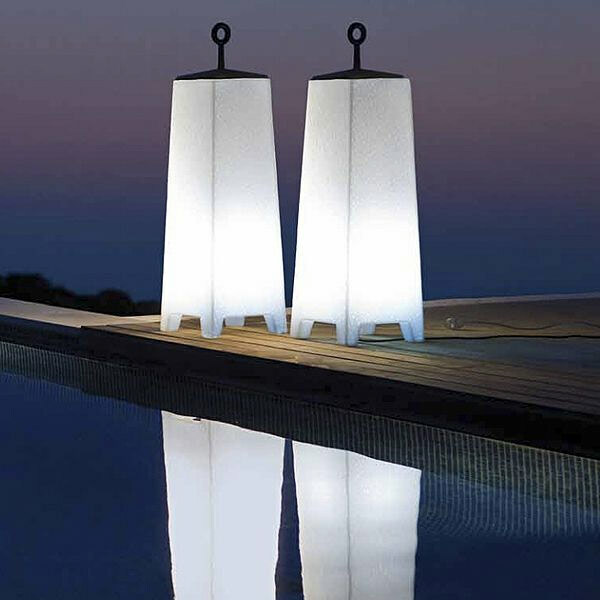 Floor lamps are a perfect accent in the corner of your infinity pools, giving an additional lighting during night swimming or pool party. Enlightened by its purpose? Have you just imagined how important lights are? So there, try adding up those beautiful lights unto your houses for the enrichment and purposes of safety, security, beautification and night-time social events. But of course it can also be possible to use pendant lights that you made by yourself which can surely be an attractive piece.